Leadership is a term bandied about with alarming regularity and casualness in today’s business world, and whether or not the essence of real leadership exists in an organization is a matter of debate and subject to personal opinion. Into the fray comes Jeffrey Pfeffer to create not only transparency in how leadership should work, but also to dispel the myths that act as conventional wisdom. Using a combination of research findings and basic common sense, the author provides some much needed clarity on what he calls the “leadership industry” and proceeds to dismantle it. This book is a must read for people both in senior positions, and those looking to make the move into a leadership role. 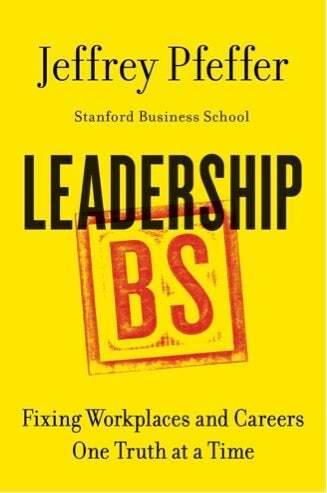 In order to be a true leader, you need to be willing to dispel the myths surrounding that role and Leadership BS is a book that can take you there.